Developed, owned, and operated by Sustainable Power Group (sPower), this substation is the first tie into the 230kV Big Sky Substation that feeds into the SCE grid. 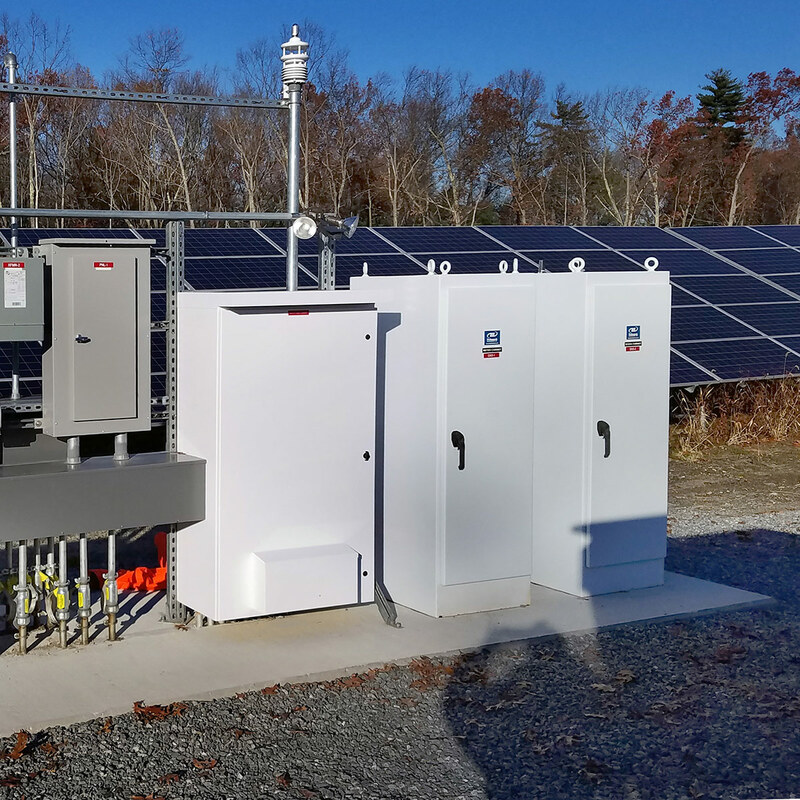 This substation accommodates a 105MW PV resource, with the intent to expand significantly with additional solar generation sites. Big Sky North Substation is directly managed by the Master Plant Controller to provide a central source of voltage and VAR regulation to support greater grid stability through the tie it has with the Big Sky Substation. Rosendin Electric, Inc. was the EPC responsible for managing construction. Trimark provided the complex metering utilizing a Loss Compensator cross communication approach to limit the losses calculated for revenue settlement. Trimark was also responsible for establishing the communication backbone between the Big Sky North and Big Sky Substation; as well as the integration of the Big Sky North Substation into the Master Plant Controller to allow the substation to achieve NERC CIP compliance and adhere to the IA requirements.